Ford Kuga 1.5 EcoBoost Zetec 5dr 2WD 2019 Review | What Car? What Car? will save you at least £1,650, but our approved dealers could save you even more. 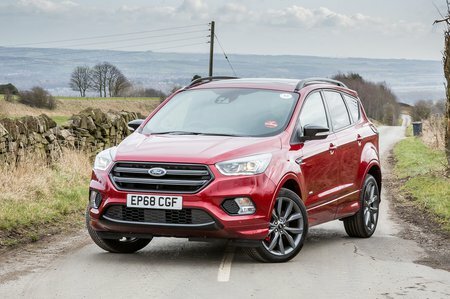 The Ford Kuga isn't competitive in a number of areas, most notably its cheap-feeling interior and relative lack of practicality. If you really want a Kuga stick to the cheaper trims, because for the price of the more expensive versions there are much better alternatives, including the Peugeot 5008 or Mazda CX-5. The entry-level trim gets all the essentials, including 17in alloy wheels, air-con, hill-start assist, electric windows all round and cruise control. It’s our pick of the range, although we'd recommend forking out for the optional 8.0in touchscreen infotainment system. The same 1.5 engine as the 120 but with more power to help lug a fully laiden car. Again, it’s front-wheel drive and manual only.